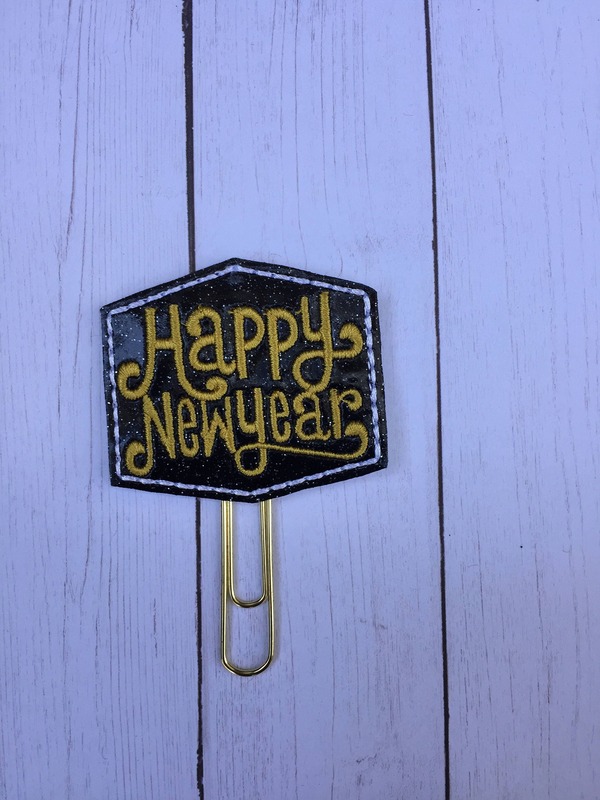 Black Glitter Happy New Year Clip/Planner Clip/Bookmark. New Year Planner Clip. 2018 planner clip. Holiday planner clip. 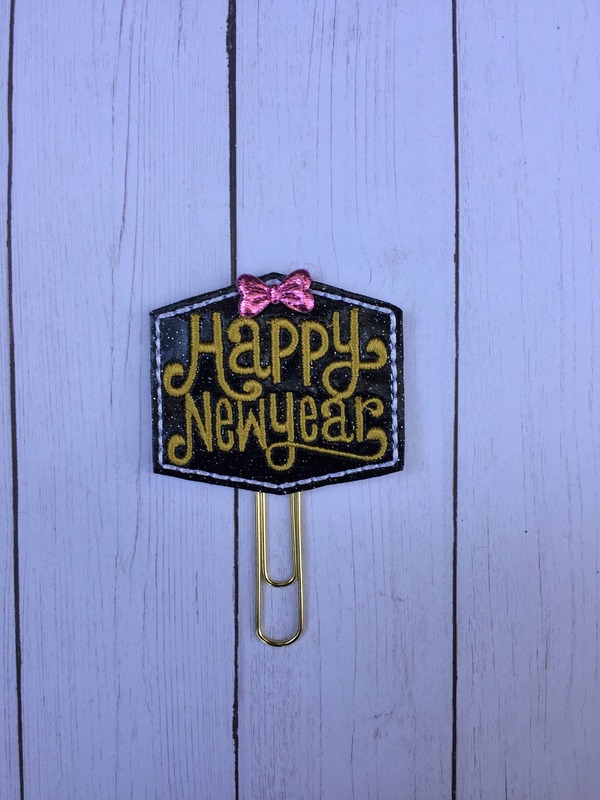 Large paper clip with glitter vinyl Happy New Year embellishment. Product is cute. Wait times were not. Could not give as cmas pressie as intented.